This simple epitaph is widely interpreted to mean that the 300 Spartans who died at Thermopylae had no option of retreating. Allegedly, these men lay buried in the Pass at Thermopylae, so far from home, because Sparta’s “laws” forbade retreat or surrender regardless of the odds or the certainty of death. But as I have pointed out elsewhere, Spartan forces both retreated and surrendered in a variety of other engagements over the centuries (e.g. Hysiai, Sphakteria). The Spartans didn’t seem to think there was a “law” against retreat even under far less threatening and less hopeless situations than that presented to Leonidas at Thermopylae. Are we to believe Leonidas and his 300 were the only Spartans who lived and died by Sparta’s laws? Or could there be another explanation of the epitaph? 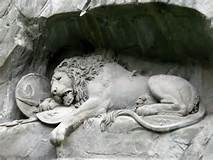 No -- unfortunately not the monument to Leonidas which is lost, but possibly inspired by description: the Lion of Lucern commemorating the loss of the Swiss Guard. 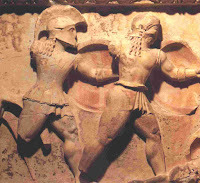 In short, there were two Spartan monuments: the one to Leonidas and the one to the other Spartiates. If we separate the two, then we see the glimmer of an answer because it suggests that the “law” that the 300 obeyed may not have applied to Leonidas at all. Leonidas had an option. Leonidas could have decided to pull-out of the Pass as soon as it became indefensible. Leonidas would not have broken any “law” if he had done so, because there was no law that required Spartans to fight until death rather than retreat or surrender. But there was a law that required obedience to Sparta’s kings as long as they were beyond the borders of Lacedaemon in command of Sparta’s army. This law is documented and was widely respected. Sparta’s kings could be charged, tried and exiled once they were at home, but not during war, not while campaigning abroad. As long as they were commanding the army in a military engagement outside Lacedaemon, their troops were bound to obey them, and for the most part did. 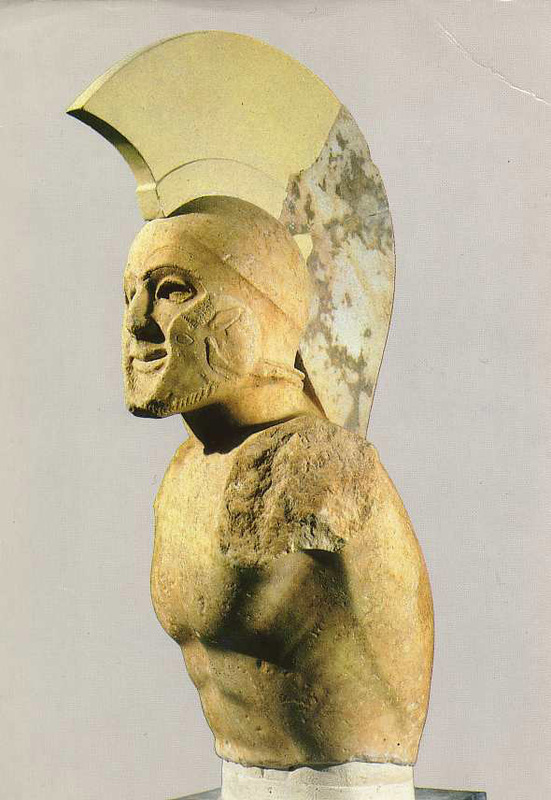 Sulpture found in Sparta dating from the early 5th century BC. Although spontaneously called "Leonidas" by the Greek workers on the site, the helmet is not the cross-crest of the Spartan kings and so probably depicts an ordinary Spartan hoplite of the period rather than the king himself.